This is a project by SchrobZen (http://forums.terraria.org/index.php?members/schrobzen.4162/). I really love the "Commander Keen" games and I love Terraria... So that's where the idea came from. 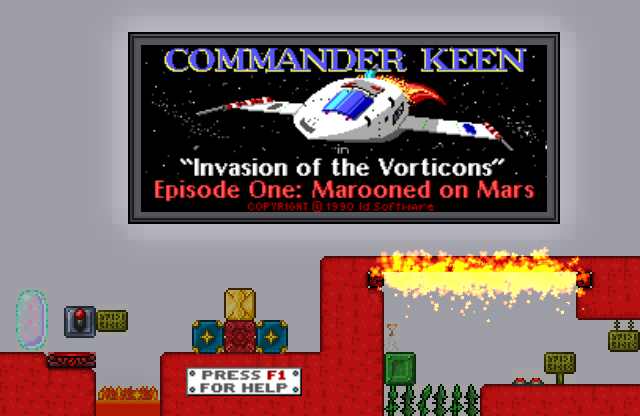 This ist a one-by-one (almost :D ) recreation of the popular game from 1990 "Commander Keen Ep.1 - Marooned on Mars" It is a singleplayer Adventur-Map that does a great Job of capturing the charm that the Original game had and still has to this day. I put some time into this so I would really appreciate your feedback about how you liked it, bugs, missfunktions, etc. (http://forums.terraria.org/index.php?threads/commander-keen-ep-1-marooned-on-mars.45622/) You can download it, play it, share it. This will be updated immidietly when errors occur.